This pushchair has been great! Very easy to push steers so easily I can actually push it with one hand without it going all over the place! Also so easy to fold up the frame when grandparents took baby out it was nice and light to get onto trains etc. Only fault is it's quite awkward to put the car seat onto the frame and is pretty heavy to carry! 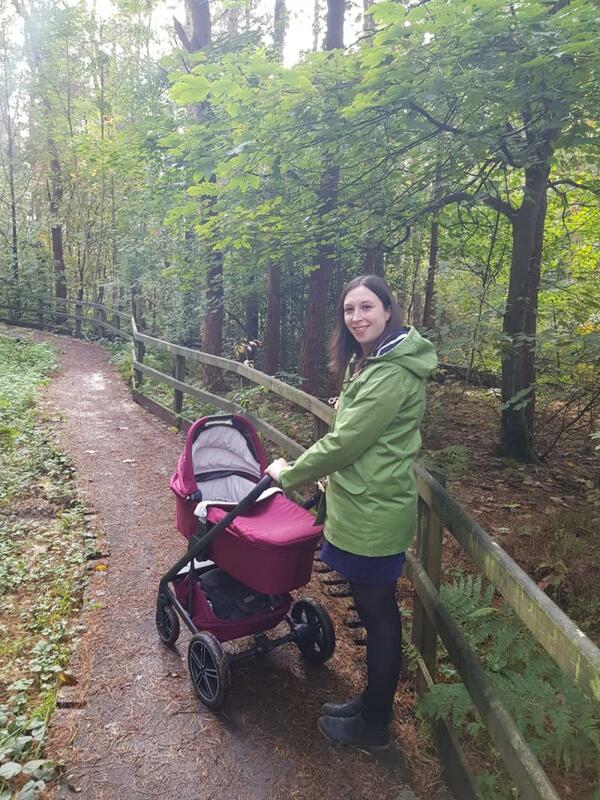 We looked at many prams, we wanted a neutral pram that was multi-terrain, easy to unfold and good value. The back wheels are supported with two large springs. All the wheels are detachable with one press of a button. The tyres are foam filled and easy to clean. The pram frame itself is sturdy and most importantly, so easy to collapse and put together. It is slightly on the bigger side, so if you have a small boot it maybe a problem. There is a zip pocket in the base of the frame, suitable for a purse. Very easy to use, love the Berry colour. Slightly bigger when folded than some, so may be an issue for those with smaller boots. We love this beautiful pram. It folds so easily and the larger wheels come off with a very easy to push button if you need to take these off to fit it into your boot. 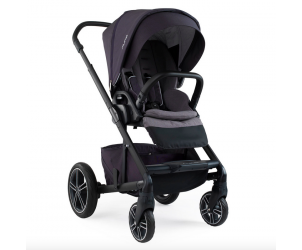 It steers very nicely and seems like a comfortable ride for baby on all surfaces. The basket underneath is really roomy, great for shopping. I love the adjustable handle as both myself and my partner can use it with ease at different heights. Everything! I love it ! I love everything about this pram, easy to use, easy to fold down. So much padding for baby. Just wish they did more exciting colours. 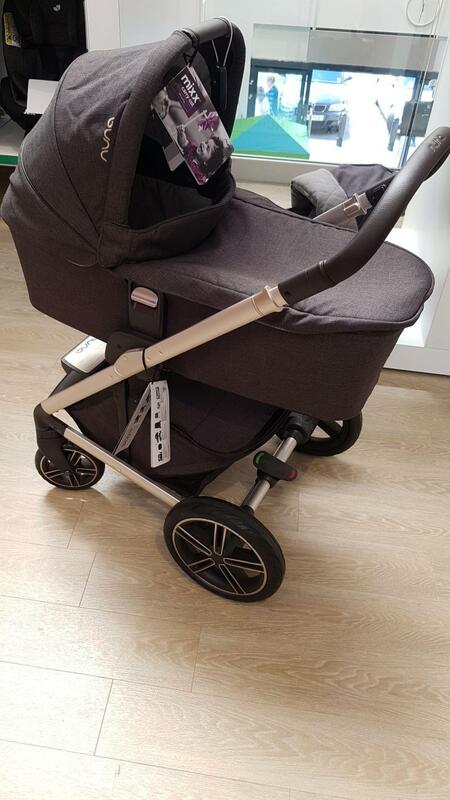 We couldn't decide between this pram or the silver cross pioneer. We ended up going for the nuna and so glad we did it is so easy to collapse comes with the carry cot too so is suitable from birth to 4 years old. It is so sturdy and the suspension is excellent we have us3d it on the beach on Rocky paths pretty much every environment and it doesn't struggle at all. I love how the pram can fold with the seat attached do you don't have to separate them one hand opening is also fabulous. The only downside is it is quitr heavy to put in the car with the seat attached. I brought the nuna mixx because the woman in the mothercare showed me as her favourite and I instantly fell in love. A bit pricey but it lasts years. Easy to fold compared to some other pushchairs which takes different steps but this is just one click! 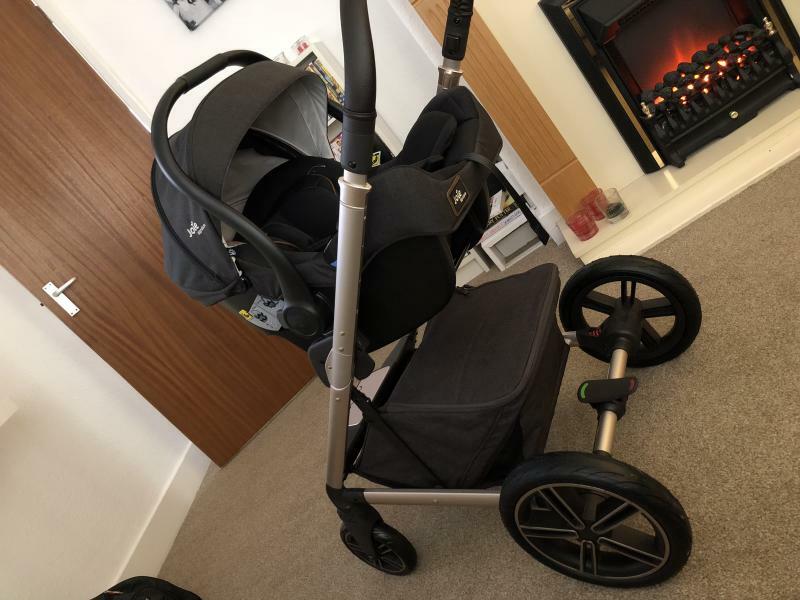 The back wheels are quite bulky so have to take hem off to get into car with other things such as carry cot but easy enough to get on and off. 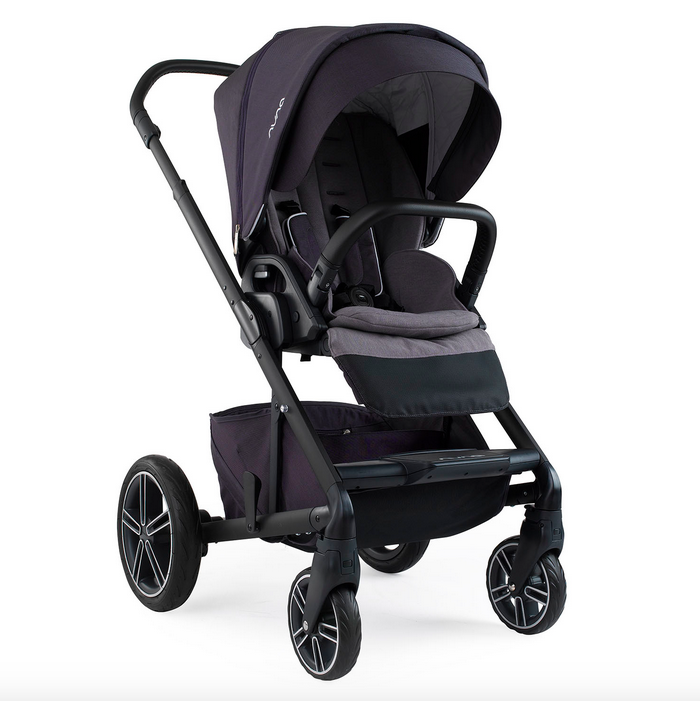 This pushchair is great - the Nuna brand I delivers quality items and this pushchair is no exception. It’s very well made and intuitive to use, including putting up, putting down, changing height of seat, direction of seat, and many more. I love that the handle can be adjusted to many different heights and to a height that is suitable if you are of a taller disposition like my husband and I. I find the straps a little fiddly, but baby is secure once they are out together, and generally the seat area is very comfortable for your little one. Overall we love the nuna mixx! It's very stylish looking and comfortable with plenty of padding for pur LO. 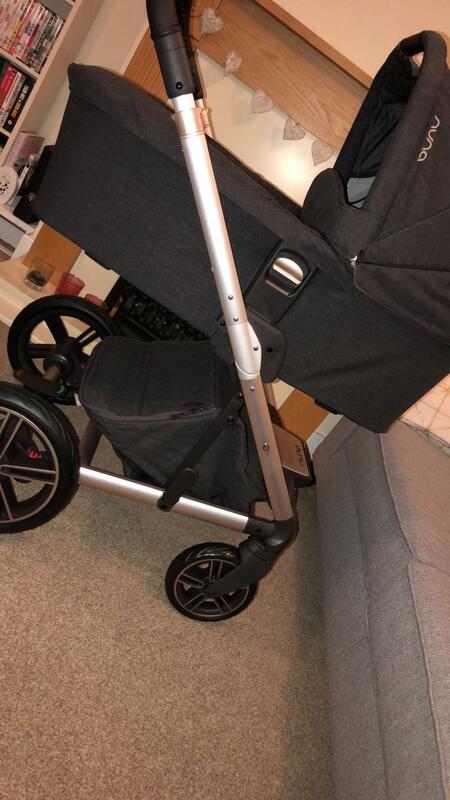 We purchased our pushchair with the matching carrycot, we loved that it had a pull out weather shield in the hood to protect baby from all different weather components. We also loved the little secret pocket at the foot end of the carrycot to keep things such as keys/money/phone. All fastening on the nuna pushchair are magnetic which is an added bonus as I am not a fan of Velcro or popper buttons. The only downfall to this pushchair is the hood doesn't always want to stay up and also the rain cover could be better and needs something adding to it to secure it in place better. Looks good. Sturdy. Easy to use. The hood doesn't want to stay fully open. I love this pushchair. It's easy to use and fits in my small car as the wheels are quick release. It looks great and is easy to change between the push chair, carry cot and the car seat. Would recommend. Love my pushchair. Suspension is fab. Off road it takes the bumps well but if the ground wet the wheels do get clogged very easily. It's a great option if you want simple design and something a bit different to i candy. I love the colour and material of this pram, material is hard wearing too. So easy to put up and fold down and the back wheels can be detached really quickly. The zip up compartment underneath is fantastic...its huge and protected from the rain. The only downside is the foot muff does not fit properly and hangs off the end of the pushchair making the rain cover not fit properly and blows up in the wind. We chose the pram for how sturdy it is, with no wobble or vibration through the handle. It is made of excellent materials, and everything seems to have been thought about. I can't wait to use it properly when baby is here! I have this an love it very easy to use an very light. The folding down is easy an putting back up is easy. Colour is great. Very easy to put together an very easy to use. 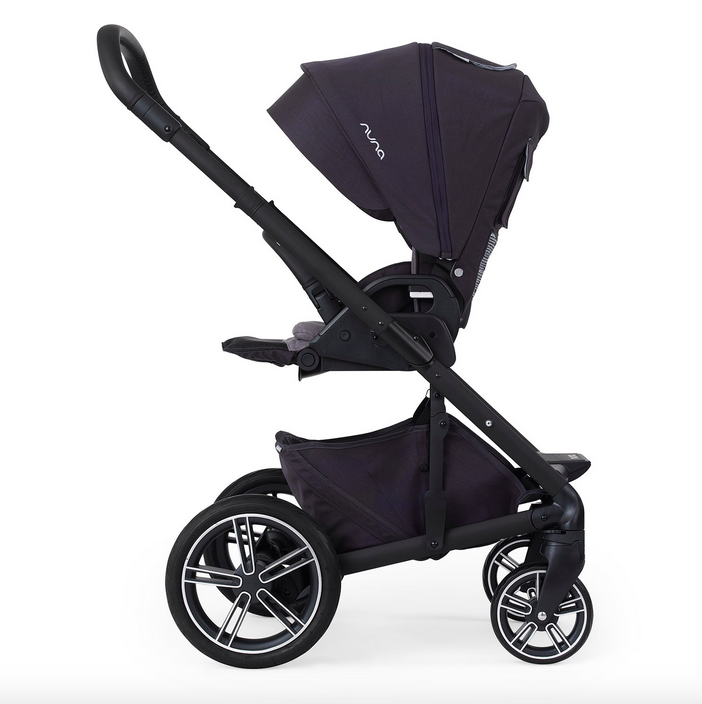 The Nuna MIXX has four riding modes, two ultra compact ways to fold, and a sleeper seat. 4 modes for newborn and toddler use: carry cot, car seat, rearward and forward facing seats. (Carry cot and car seat available separately).